So, why did I visit Kastellorizo? Well, it's pretty simple, really. If you've read any of the other sections, you might know I have a thing for castles. I just love them - the way they look, their views, their character. I'm a castle person. What does that have to do with anything? Well, if you knew the origin of Kastellorizo's name, you'd understand. Up until three years ago, I didn't know its origin either, but then I read a book and I noticed something: Kastellorizo is a bastardization of Kastello Rosso, the Red Castle. 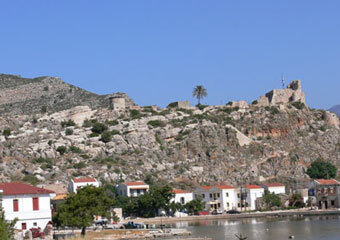 The Red Castle is Kastellorizo's famous castle. 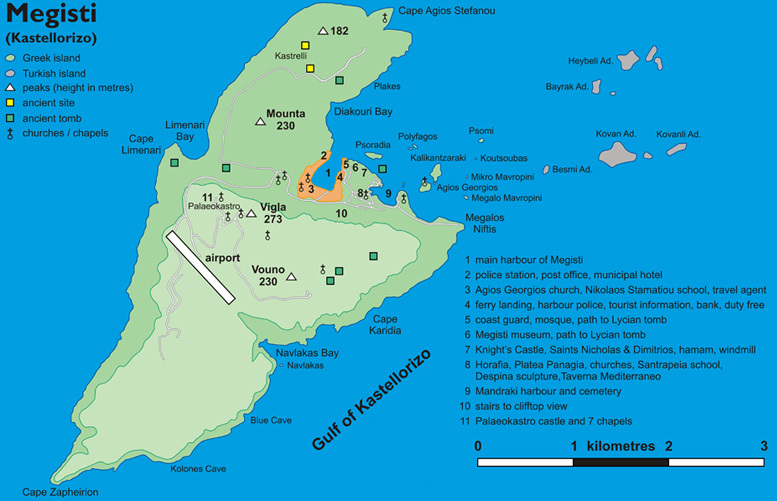 So, how magnificent would that castle be in order for the locals to adopt its name for the island itself? As you can understand, when I realized that, I decided I have to visit this island. So, I discussed it with Leela and we agreed we'd go there as well. We booked rooms, I bought tickets and then I called Evelena and Chris and asked them if they wanted to come with. No, actually, it was the other way around; we asked first, then we booked. Anyway, almost one month later, we were traveling to Kastellorizo, the "most far-flung Greek island". If you search for accommodation in Kalymnos I recommend you to visit Kastellorizo Hotel Online Bookings. There, you can make your reservations directly to the hotels and find rooms in low prices and useful guest reviews. 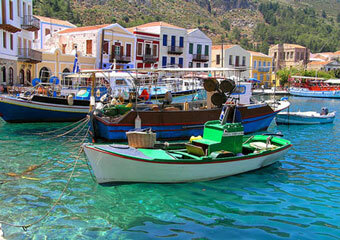 What does Kastellorizo look like? Kastellorizo is a dry, depopulated island with its own small clutch of islets. 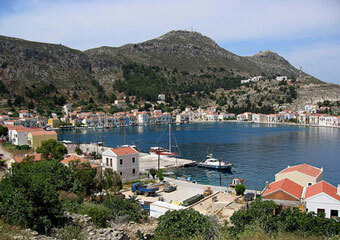 It only has one settlement, Kastellorizo Town, with the best natural harbor between Piraeus and Beirut, as I hear. Most of the neo-Classical houses of the island stand in ruins, blown up during the World War II or destroyed by earthquakes. However, buildings are being restored as tourism develops. Kastellorizo has no significant beaches, but it has clear seas full of marine life, including monk seals, and there are rocky inlets from where you can swim and snorkel. Are there any places I should not miss in Kastellorizo? First of all, there's Moni Agiou Georgiou (Saint George). Agiou Georgiou is the largest of the monasteries that dot the island. 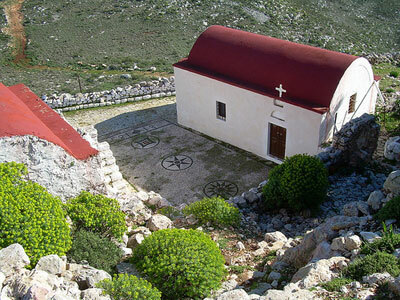 Within its church you'll find the subterranean Chapel of Agios Haralambos, reached by steep stone steps. The church is kept locked, so you'll have to ask around the waterfront for the whereabouts of the caretaker. Also, there's the elegant Cathedral of Agioi Konstantinos and Eleni, which incorporates granite columns from the Apollo in Patara, Anatolia. The Parasta Cave is famed for its stalactites and the strange light effects on the vivid blue waters. 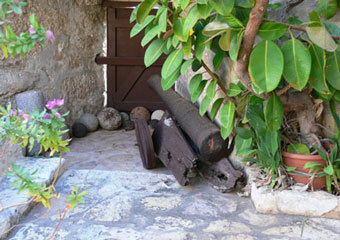 Are there any archaeological or historical sites in Kastellorizo? Well, as you can guess, I'm going to start with Kastellorizo's castle. Kastro is a ruined fort standing above the town. Its name, "Red Castle" (Kastello Rosso), was given to it by the Knights of Saint John due to its red stone. If you follow the rickety metal staircase, it will lead you to the top where there are magnificent views over the islands and the coast of Turkey. Don't forget to visit the Kastro museum, which contains costumes, frescoes and photographs. In Kastellorizo you'll also find the only Lycian Tomb in Greece. It's from the ancient Lycian civilization of Asia Minor, noted for its Doric columns. Finally, do pay a visit to Palaiokastro, the island's ancient capital. Within its Hellenistic walls you'll find a Doric fortress and acropolis. On the gate you'll see a 3rd-century inscription on the gate referring to Megisti. As I already said, Kastellorizo doesn't have any beaches worth mentioning. It only has some rocky inlets from where you can take a dive and snorkel. Where should I eat in Kastellorizo? 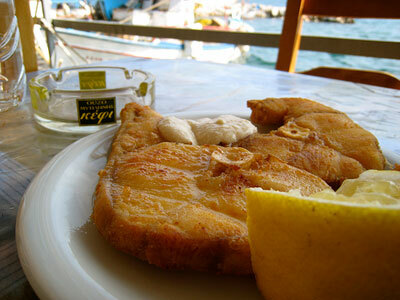 Luckily, most of the restaurants and eateries in Kastellorizo are well worth visiting, with Greek specialties, meat and fish. To Mikro Parisi (Little Paris) for example, is a restaurant that's been there since 1974 and it's been going strong. It serves generous helpings of grilled fish and meat, but fish soup it its specialty, as well as stifado. Sydney Restaurant serves home-cooked dishes and grilled fish. Its tables teeter precariously on the harbor's edge, handy for feeding the fish on leftovers. Tis Ypomonis (Of Patience) is a great psistaria (a restaurant which serves only grilled food) with souvlaki, sausage and steaks. As for Restaurant Platania, it's a beautiful eaterie, rather popular especially after it appeared in a movie that was shot in Kastellorizo, "Mediterraneo". Try the revithokeftedes (chickpea rissoles), I hear they're great. Kastellorizo is not really huge on the way of nightlife and entertainment, but there are several easy-going cafeterias on the waterfront. 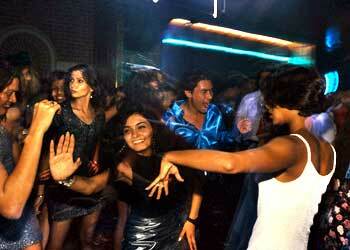 Kaz Bar, for example, is a great place to start. Mythos Bar is pretty good as well, on the east side of the harbor. Also visit Meltemi, next to Kaz Bar, and have a cold beer sitting at one of its waterside chairs. How do I get to Kastellorizo? Kastellorizo used to be an isolated island, up until it got its own airport in 1987. Now there are three daily flights to Rhodes. You can also reach it by sea; it's connected twice a week with Rhodes and once a week with Piraeus, Symi, Tilos, Nissyros, Kos, Kalymnos and Leros.